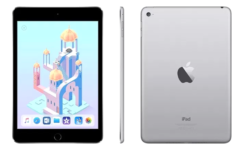 Apple introduced a new member of the iPad family, its seventh-generation iPad Air 3. 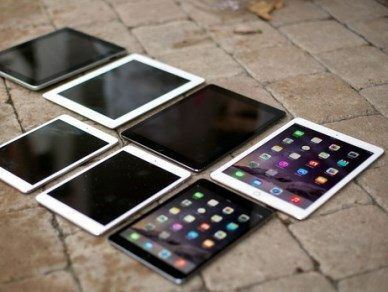 Rumors are, its specific models will be called iPad Air Plus or iPad Pro. It will have a 12.9-inch screen in order to compete with Microsoft’s Surface Pro 3. They say that the new device will appeal more to the content creation professional. The new iPad will be launched at the end of this calendar year. Gyroscopes will have some additional sensor improvements, perhaps the GPS and the light sensor. It will be able to collect data from integrated accelerometers, compasses and gyroscopes. It will also offload the collecting and processing of sensor data. There will be an additional sensor processor revision to M9. We would expect that the cameras that might appear on the new crop of iPads will be at parity with the iPhone 6. Apple will install a better FaceTime HD camera, with a better microphone, in the front. 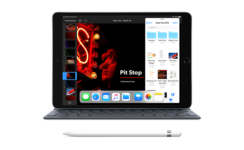 It will serve for enhanced video conferencing usage on at least the iPad Pro version. Bringing the 8MP OIS camera from the iPhone 6 Plus and putting it on the Air 3 would be welcome. However, with the introduction of a larger iPad, with a bigger screen, we’re going to see a lot more battery draw. Therefore, a new architecture is a must if Apple wants to optimize these tablets for reduced power consumption. Chances are that the iPad Air 3 will get a hybrid architecture chip similar to Samsung’s Exynos 7. Some of the battery draw could be offset by introducing an improved mobile networking chip that would have lower power consumption. 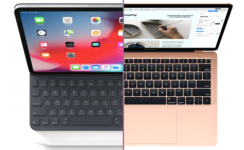 In conclusion, the newest crop of iPads may have double the memory of the regular iPads. It will accommodate more demanding, professional-type content creation and data visualization applications. 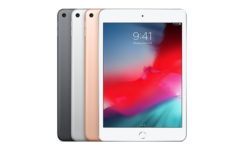 The iPad Air Plus/Pro will likely have a screen resolution of 2732 x 2048, with 264 pixels per inch at a diagonal display size of 12.93 inches.